Welcome to Washington D.C., our nation&apos;s capital and where they&apos;ve filmed "Scandal, " "Legally Blonde 2," and that "Transformers" movie! We hope you enjoy your next six to eight weeks clogging our already miserable transportation system, eventually realizing that there are better odds of making it to Mordor and back rather than getting from the Hill to Georgetown to NoMa before Happy Hour ends. Enjoy our hometown and get ready to sweat your guts out in August! "Stand Right, Walk Left." This is the Golden Rule of our city. "Stand Right, Walk Left." Repeat until true. Once you&apos;ve mastered your newest mantra, you might stand a chance in our award-winning most atrocious commute. If you can&apos;t get it down by, let&apos;s say week two, you run the risk annoying everyone ever as well as tripping down our 200+ ft escalators. Expect exile if you even think about bringing a roller backpack on the escalator. Don&apos;t say we didn&apos;t warn you. You know how you wanted to get to that meeting/date/brunch on time? Yeah, there&apos;s a stastically significant chance that the Metro will be the biggest spoil-sport. Either the escalator at Bethesda will break, putting you at risk of a heart-attack; red-line trains will be single tracking from Twinbrook to Judiciary Square; or God forbid, the AC will cut out at Metro Center. Although it&apos;s relatively clean compared to its sisters the Subway and the T, the Metro is the spoiled brat of urban trains. It will take your money (Add $1 for a paper card and $5 for a plastic card) and then tease you with its smiling slogan "Metro Opens Doors." Here are our secrets for you: (1) If you have a super important meeting, give yourself an extra 30 minutes. You know how everyone reads on the Metro? It&apos;s actually not a sign of how literate we are. It&apos;s a sign of how long we&apos;ve been waiting for the next train. Bring a book and camp out at the nearest ABP. (2) Never try to one up your boss on worst-commute-ever. People commute from West Virginia on a regular basis. West Virginia. (3) It&apos;s appropriate to make small talk about the Metro with the cutie from your office, but only as a first or second point of entry. Bonus local points — it&apos;s pronounced GROW-vz-ner and L-FahnT. Hey! Have you heard that the National Gallery offers free jazz performances every Friday night? Yup, so has every other 20 something in the D.C. Metro Area. Pluses — You&apos;ll see everyone you know. Minuses — You might not be able to get in and it is definitely not BYOB. Although D.C. is full of many unpaid internships, it&apos;s also full of pretty great free entertainment. I know the monuments seem just as much fun as reliving fifth grade civics, but try checking them out at night. The FDR Memorial is particularly gorgeous post-sun what with illuminated waterfalls, life-size depictions of Freddie&apos;s presidency, a boss tribute to Eleanor, and a cute reference to Fala. 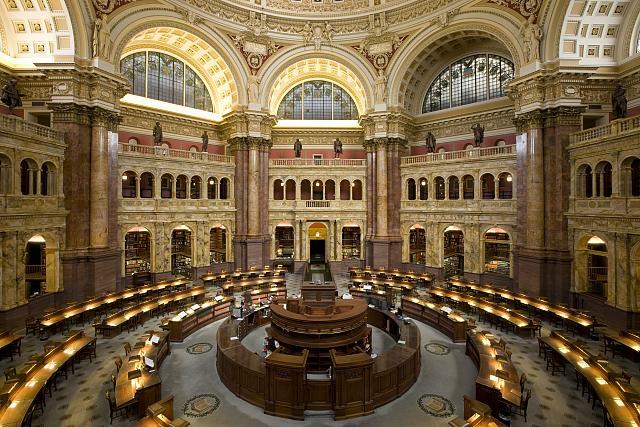 Other fun free things include National Mall outdoor movie nights, getting a Library of Congress card and checking out the astounding Main Reading Room, and taking a long walk along Rock Creek Park. Keep an eye out for the Smithsonian&apos;s Folklife Festival (and the free museums generally), the 2013 Capital Fringe Festival, and other highlights from the WaPo&apos;s Going out Guide. ...it&apos;s the humidity. Listen, it&apos;s going to get really hot and muggy around August. As in, if you wear glasses, they will fog up when you leave A/C. It&apos;s going to be miserable, but you can push through. Step 1: Learn the signs of heat exhaustion and take them seriously. 2: keep hydrated and indoors during the peak of the sun. 3: similarly try to avoid running/jogging/kick-ball when there&apos;s a heat advisory (are you insane? it&apos;s so hot) 4: multiple showers. 5: if it&apos;s hot at night, take a cold, wet washcloth and place it around your neck. 6: eat as much frozen yogurt as you&apos;d like. 5. Towards the Beltway, and Beyond! So you only have a few days left in the District? Take a lazy afternoon and explore our attractions that lie just outside the Metro area. Travel up to Baltimore and catch an O&apos;s game, jut down to Annapolis for some Old Bay season crabs and to see the newest crops of Naval Academy recruits, brave the Bay Bridge and see all of your officemates at Rehobeth/Bethany Beach. You survived your internship, this muggy city, and most of all, all of us who will, despite our grouchiness, miss you and wish you the best!